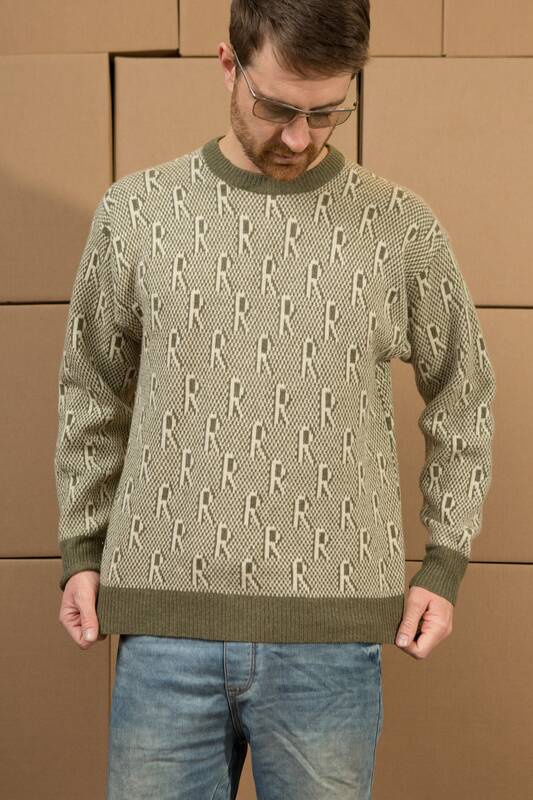 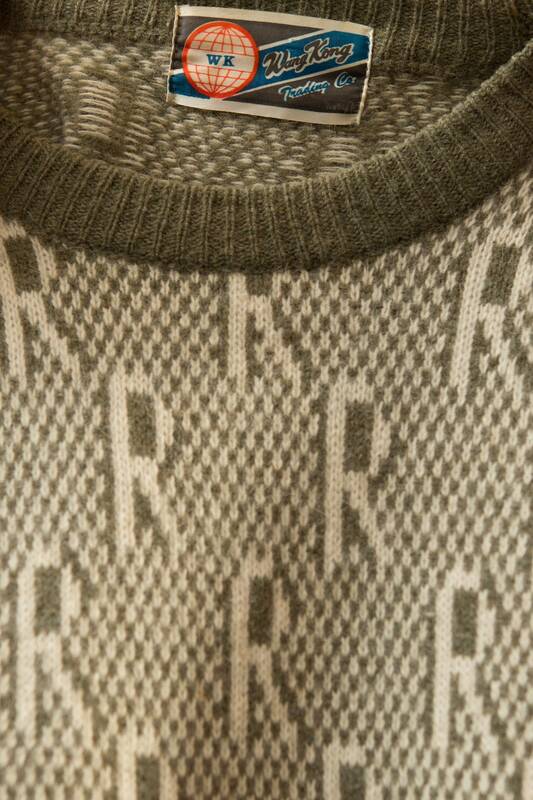 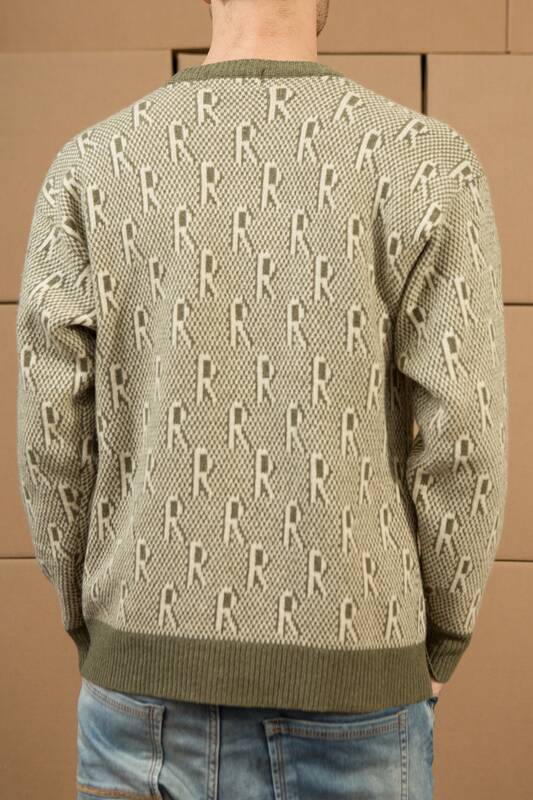 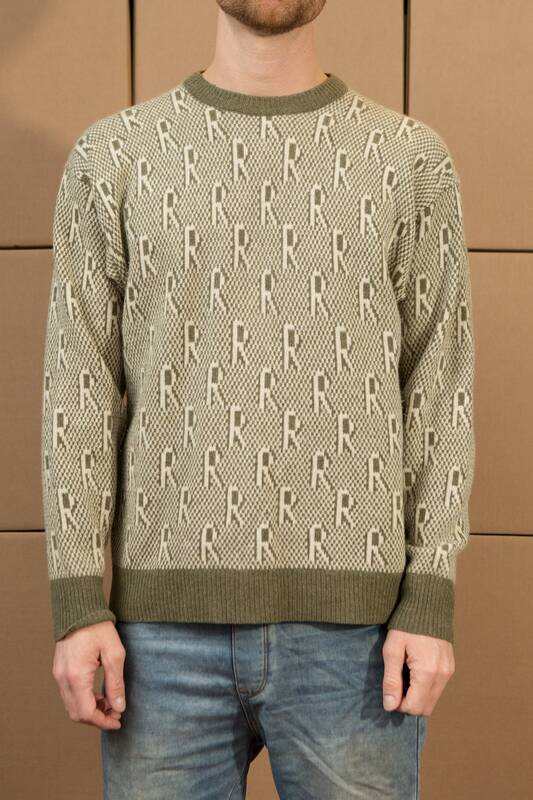 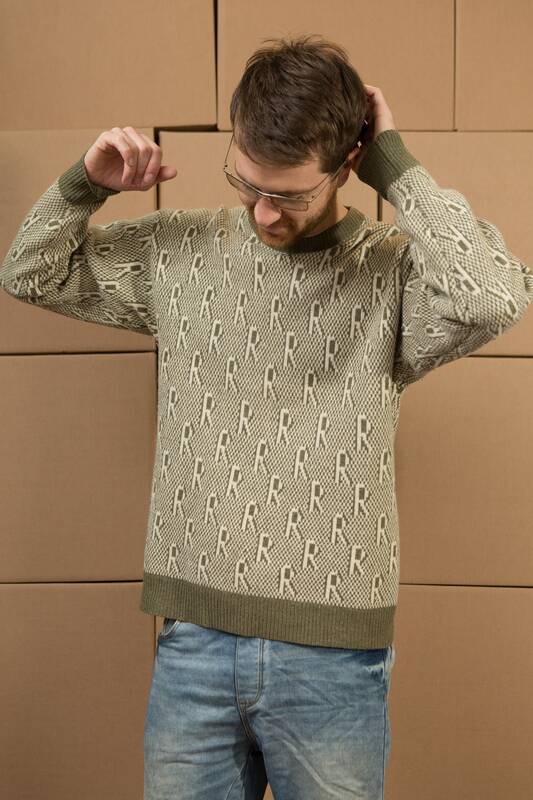 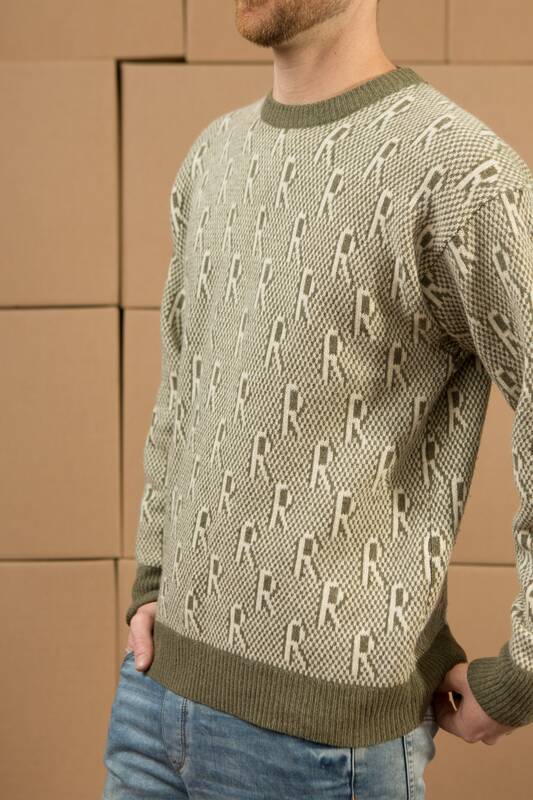 This is a very cool looking vintage green and cream crew neck sweater with a 'R' pattern on it. 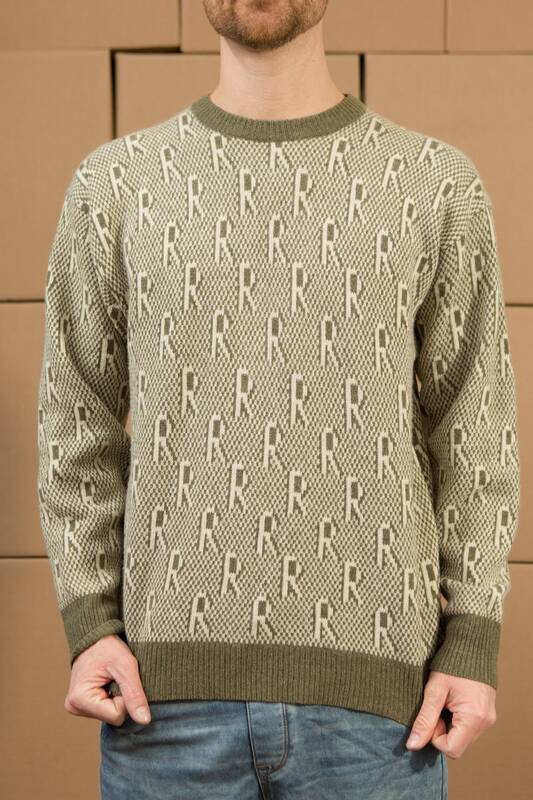 Great gift idea for some who's name starts with R.
Brand: Wang Kong Trading Co. 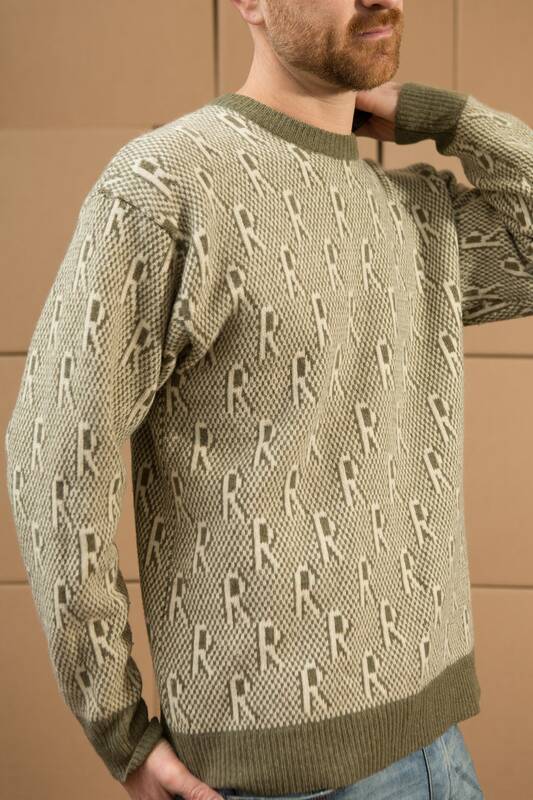 Fits Like: Fitted medium. 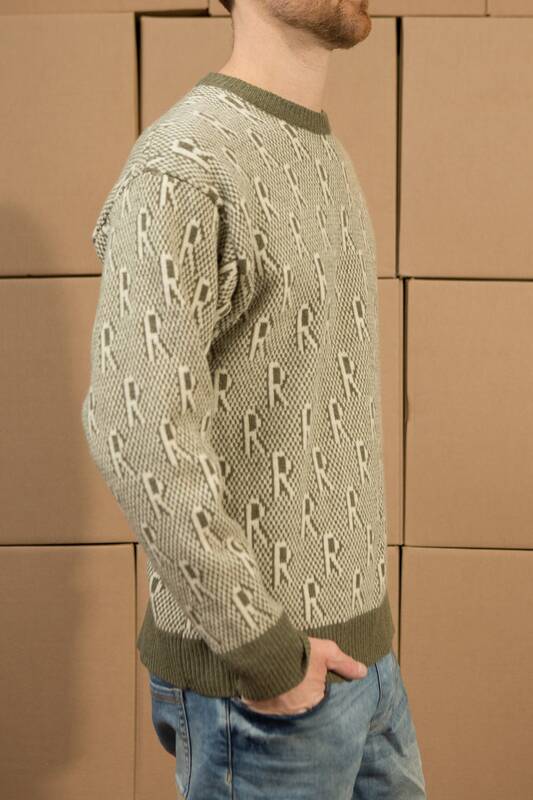 (Model wears medium size).